Wish me luck. 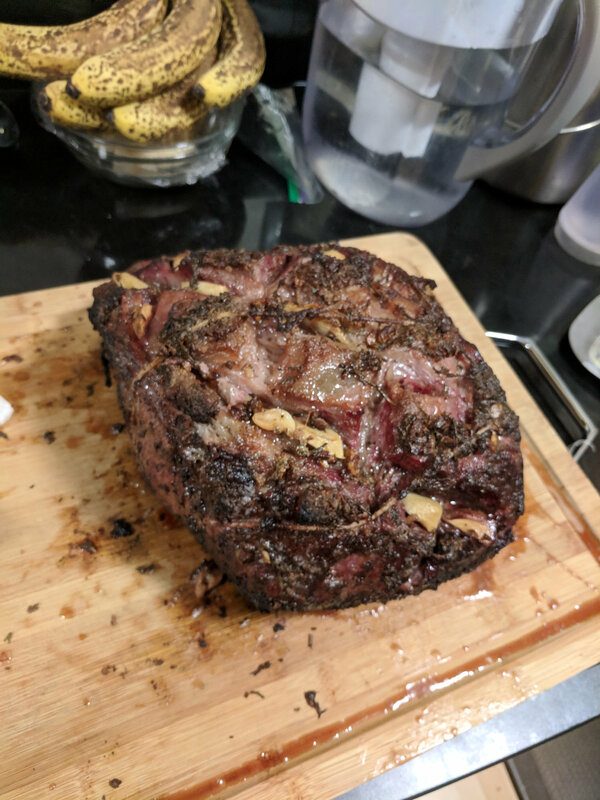 First Prime Rib just went on for NYE dinner with the family. 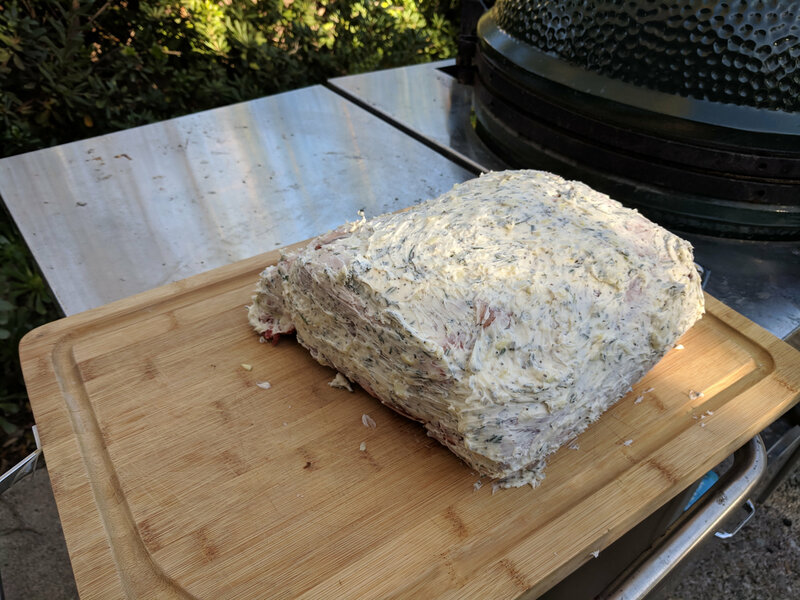 Garlic herb butter rub, on at 250 degrees, pecan chips. Will update along the way. I hope I remember pictures before we eat. Nail the finish temp and you are golden. Enjoy the banquet. 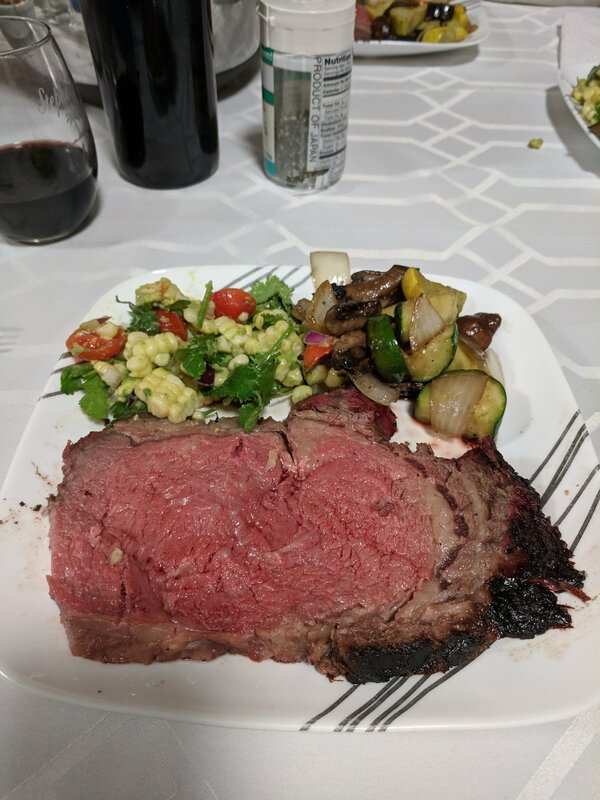 Prime rib on NYE in Lanikai? Does it get any better? I might need to change my handle as it makes me long for Lanikai where this all started. I'm in the SF Bay Area now. I recall that bit of insight several months ago. He11, keep it and enjoy the memories and the challenge to get back. Better to be lucky than good any day. 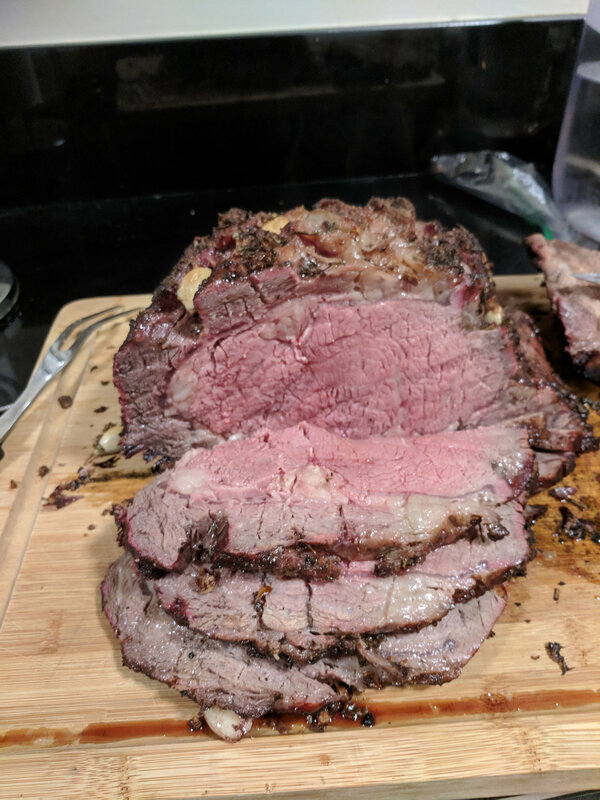 How is your prime rib looking? 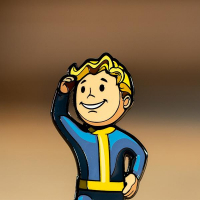 Any updates?? Bet it was great happy new year! Sorry for the delay. The results are in and it was a success with the family. 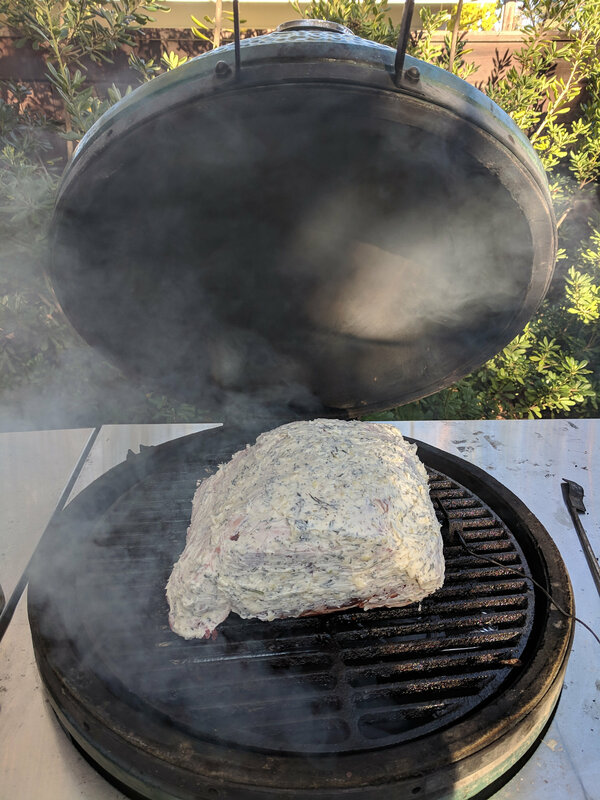 Took it off at 115, got the temp up past 500 and put it back on for about 8 min while we finished off some of the sides. 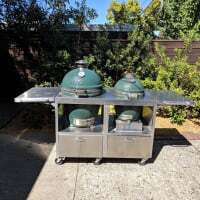 Final internal temp right in the middle was 125. Also did those veggies while I was getting the temp up to 500.